Home » News » Points for the UK Skyrunning Series and a UK Qualifier for the Skyrunning World Champs. The UK series has become more settled into place with the Lake District Sky Trails weekend, Skyline Scotland Weekend and then finally the Mourne Skyline race at the finish of the season. This gives a total of 6 races in the series at present in the UK series. The LDST's weekend will be kicking the series off to a start with the 'ultra classic' Scafell Sky Race. 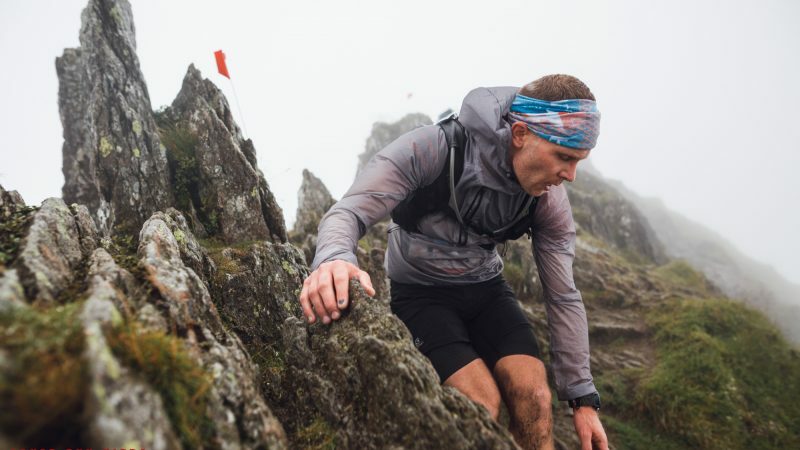 The Scafell Sky Race has been identified as the UK Qualifier for the UK Skyrunning World Championship Team, who will be racing at the Skyrunning World Championships later in the year (2018), held in Scotland at the Skyline Scotland weekend in Kinlochleven. So what does it mean to be the Qualifying Race for the UK Skyrunning National Team? It means its the race where you have the chance to become part of the Skyrunning UK National Team, where if you qualify, then you will be racing in Scotland for the UK. This doesn't mean that everyone taking part will be racing for the UK Skyrunning National Team, its means you get the chance to, but obviously you will have to perform exceedingly well. As of yet we don't know who will be in the team already, although some indications have been made by Skyrunning UK. Neither do we know what position you will need to finish in to make the team, but if you make the assumption that if you podium for the top 3 female or male spots then you stand a pretty good chance of being selected. Racing in the UK Series. 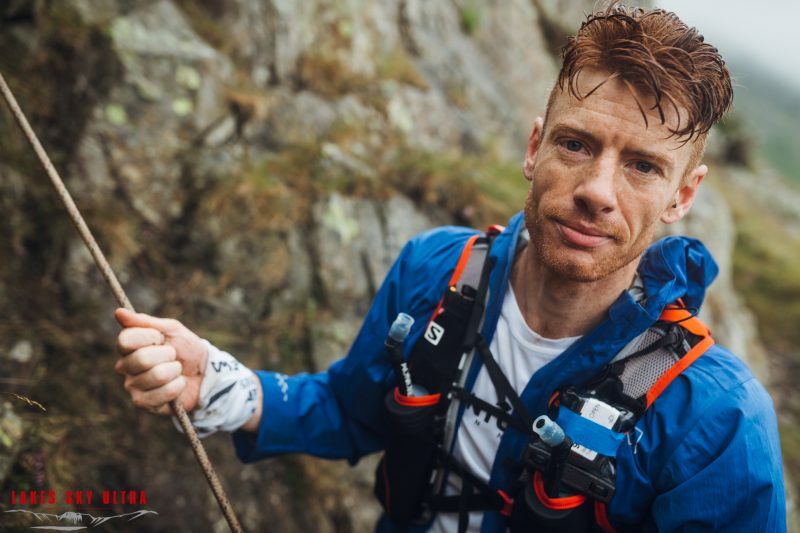 To qualify for racing in the UK series and become the UK Skyrunning Champion for 2018, you will need to take part in 3 races. The most obvious to go for are the Scafell Sky Race, the Ring of Steall and the Mourne Skyline, but don't forget you get a 50% bonus for racing in either the Lakes Sky Ultra or the Glen Coe Skyline, should you make the top 10 places in the mens or womens races. So if you have the skill, then don't sell yourself short on the non-vetted races and remember there are more points on offer in the vetted races. Skyrunning UK have indicated that they will make sure you get a place at the Mourne Skyline, should you not possess the skill to race either the LSU or GCS, or not feel like doubling up on one of the weekends, meaning you will definitely be able to get your points to complete the series. 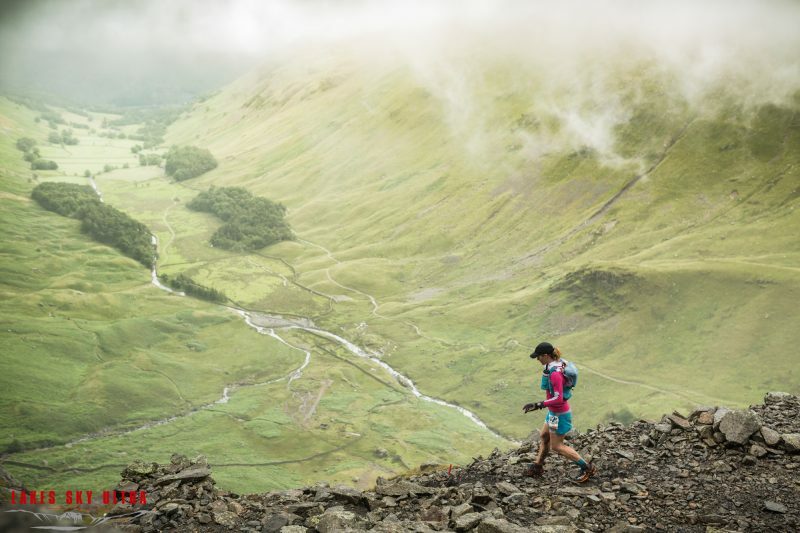 And with the massive prize of free entry into all UK skyrunning events, plus an entry into a World Series Race of your choice for 2019, you have everything to race for. 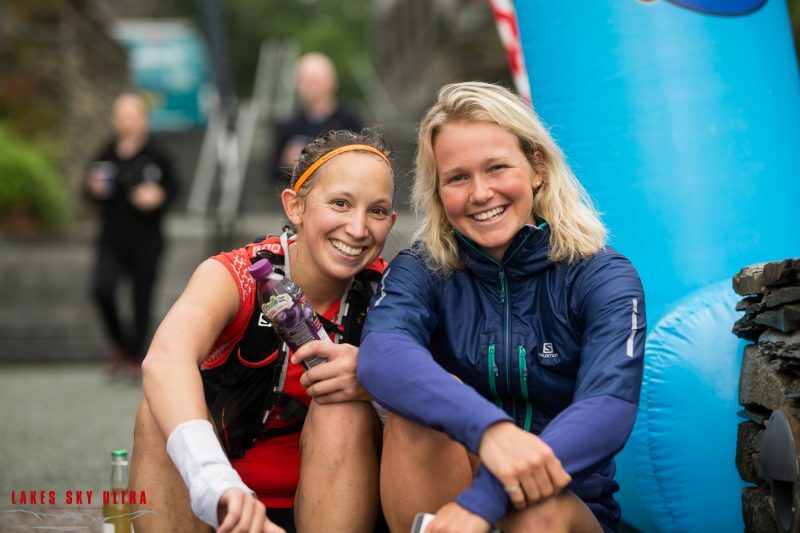 The Skyrunning UK Series has been implemented as of 2016 and at the end of each year a male and female champion are announced. To qualify for the series, runners must participate and finish in a minimum of 3-races. Points are accumulated thoughout the season and at the close of the racing year, at the Mourne Skyline, the male and the female with the most points will be annoucned as the Skyrunning UK Series Champions. It is possible to run all Skyrunning UK races and use your best 3 performances for the ranking. Don't forget that a 20% bonus is awarded for the last race of the season, which is the Mourne Skyline. In 2018 each of these races will award a 50% bonus for the top-20 men and top-10 women. Skyrunning UK have announced that they will try to guarantee (where possible) entry for those runners who commit to the series. So, if you have an entry for Scafell SkyRace and and entry for Salomon Ring of Steall, Skyrunning UK will do their best to facilitate an entry for the Mourne Skline MTR so you are guaranteed three races, assuming you don't qualify for the stringent vetting procedures of the Lakes Sky Ultra and Glen Coe Skyline, which of course will still tot up points, with 50% extra points for the first 20 men and 10 women. In addition, points will also go to the Skyrunning World Ranking. The Skyrunning World Ranking is a rolling 52-week ranking based on all the points awarded to the athletes from his/her participation in: (i) All the Skyrunner® World Series races. (ii) The SNS races, wherever run (best four results). (iii) The Skyrunning World Championships. (iiii) The Skyrunning Continental Championships. (maximum one counting). We hope that makes the Series Ranking and Skyrunning UK National Team qualifier easier to understand. The Lake District Sky Trails Team.